Description In 1945, the inventor Newby O. Brantly founded the Brantly Helicopter Corporation. Inspired by the Sikorsky VS-300 prototype, he started working on the Brantly B-1. However, this machine never reached the market, as its coaxial rotorhead design was too complicated and heavy. Nevertheless, the design proved to be useful when it came to acquiring the know-how that was used to create the lightweight, two seater Brantly B-2 model. This model has a conventional design with its main and tail rotor configuration. The main rotor blades use a double set of flapping hinges, one near the rotorhead and the other at approximately 40% of the chord length. This construction gives the B-2 a smooth ride. In 1958, the US army ordered five B-2 models, which were designated as the YHO-3. However, they were sent back after the army decided that the machines were too small for military purposes. The B-2B version has been produced for more than six decades now. This clearly demonstrates its strong design, which still appeals to a small but loyal customer base. During its lifetime, the B-2B design and production licences have changed hands many times. At the time of writing (2014), the machine is manufactured by Qingdao Haili Helicopters Co. Ltd. 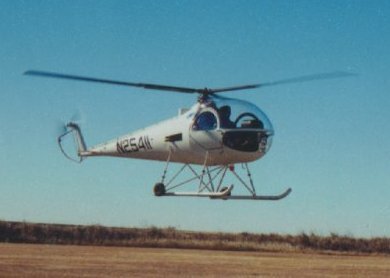 In 1945, the inventor Newby O. Brantly founded the Brantly Helicopter Corporation. Inspired by the Sikorsky VS-300 prototype, he started working on the Brantly B-1. However, this machine never reached the market, as its coaxial rotorhead design was too complicated and heavy. Nevertheless, the design proved to be useful when it came to acquiring the know-how that was used to create the lightweight, two seater Brantly B-2 model. Do you want to comment the Brantly B-2B helicopter?